After discovering her love of art at the Upper School, Caroline Korthals continued her passion for painting, drawing, and design as an art major at the College. 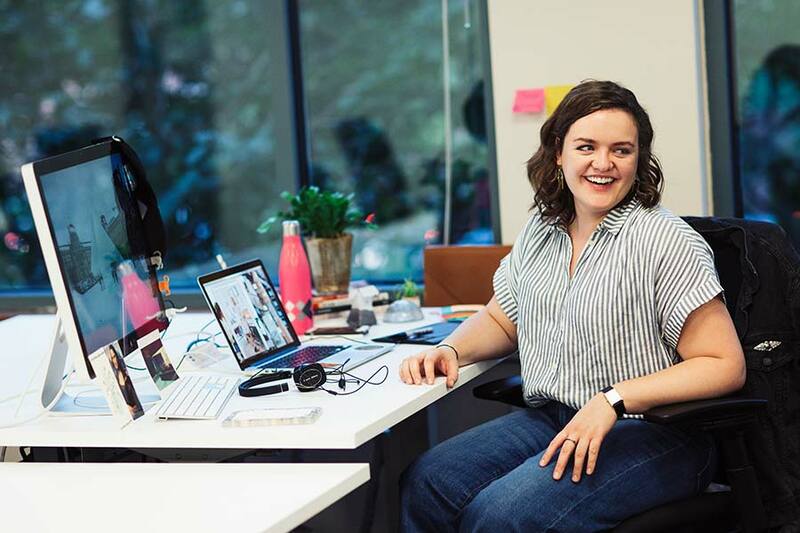 Now working for IBM iX as a UX designer in Cambridge, Massachusetts, she blends creativity and innovation to serve clients. Korthals’s pathway to UX, also known as user-experience design, began in the Boston area at Longyear Museum, where she started as a curatorial assistant and was then promoted to Visitor Services Coordinator. In that role, she managed the museum’s on-site and online stores. Finding ways to improve the customer experience online piqued her interest in combining design and technology. Though much of her work is done on a computer, Korthals frequently uses pencil and paper to quickly sketch design concepts. “I love to draw, and it always reminds me of the many hours I spent in Voney and also on my abroad to Greece and Turkey,” she comments. She’s grateful to Principia for its unique and inspired learning atmosphere. “I feel my life is God-directed and am enormously grateful for the strong foundation I received,” she says. This is an abridged version of an article that first appeared in the Winter 2018 Purpose.